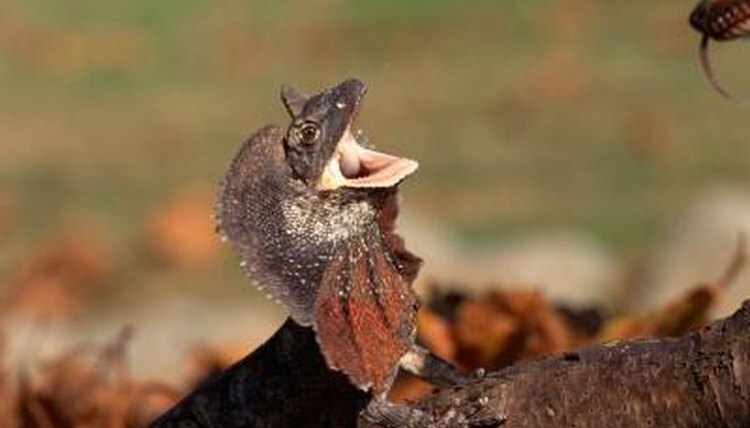 Frilled lizards (Chlamydosaurus kingii)—sometimes known as frill-necked lizards or frilled dragons—can be found across northern Australia, where they live in tropical and warm temperate forests and woodlands. While individuals vary slightly in size among regions, adults usually measure around 3 feet long, including their tails. Members of this species are also sometimes kept in captivity, but they need an owner with plenty of reptile experience. When kept in captivity, frilled lizards can live for up to 20 years with proper care, so it's important that you be ready for a long-term commitment if you want to keep one as a pet. However, the average life-span in captivity is roughly 10 years. Due to a lack of in-depth research, it's currently unknown how long these lizards live in the wild.